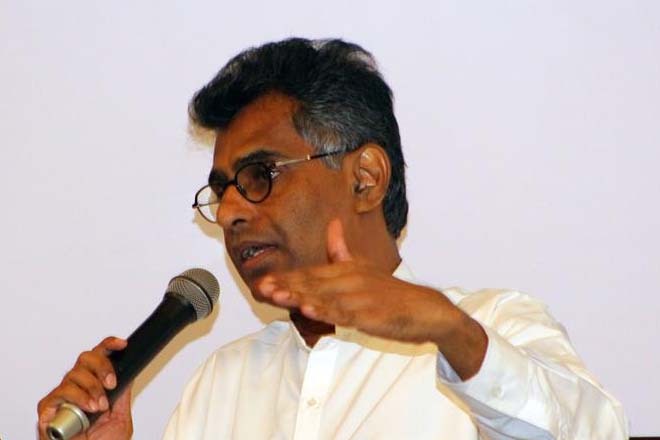 Oct 19 2015, (LBO) – The Minister for Megapolis Champika Ranawaka says that if the Megapolis mega development project is to be successful then it must address several social, environmental and economic obstacles that lie ahead. “One is the social problem where we have over 100,000 slum dwellers in the Western Province,” he said speaking to Lanka Business Online. Slum dwellers face acute poverty, illiteracy and lack of adequate housing, educational and employment opportunities. With poverty most children are deprived of education and, early in life, turn to small jobs to support their families. Under the Megapolis program the entire Western Province will be developed as a mega city by 2030 ensuring equal opportunities for every citizen, he said. The plan envisages transformation of Sri Lanka’s capital Colombo into a main business center with urbanization and housing for an estimated two million people, as opposed to the approximately one million now, which will conform to cultural, social and geographical norms. Ranawaka says that town planning is not building housing and shopping malls. We have ports and airports without ships and aircraft while there are shopping complexes that are not sustainable and can’t pay their own bills, he said. The Minister says that the second challenge is the environment. Green cities with green building codes will be introduced in various parts of the region to preserve the environment, he said. The Minister also explained harmonizing development work with the government’s economic agenda. The new government that came into power in January believes the way forward is through developing an innovation led skilled labour force in a knowledge-based economy. All this will be established within this area, he said. Ranawaka says that other issues are the traffic which is mainly affects the middle class and wast management problems. “The traffic problem is a middle class problem, this is mainly because we don’t have a proper public transportation,” he said. When it comes to waste Ranawaka says that since the waste is not properly segregated it is difficult to process. The Megapolis model is also based on the belief that if cities in adjacent regions work together they can create a new urban form that will increase economic opportunity and global competitiveness for each individual city and for the nation as a whole. Please visit www.lbo.lk/summit for further details.